maybe I should kickstart that game. This entry was posted on Monday, April 18th, 2016 at 2:56 am and is filed under Uncategorized. You can follow any responses to this entry through the RSS 2.0 feed. You can leave a response, or trackback from your own site. I would buy the s**t out of that game! and then if i were you i’d move the ‘in’ to the other word bubble, but that’s just me. 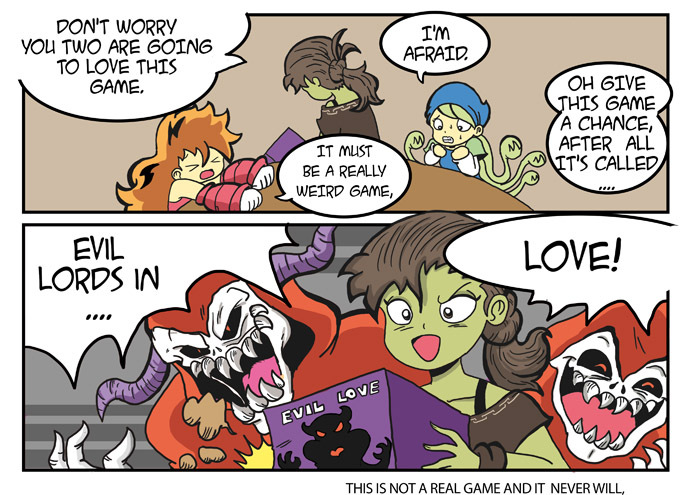 ‘evil lords.. in love!’ seems like better pacing.